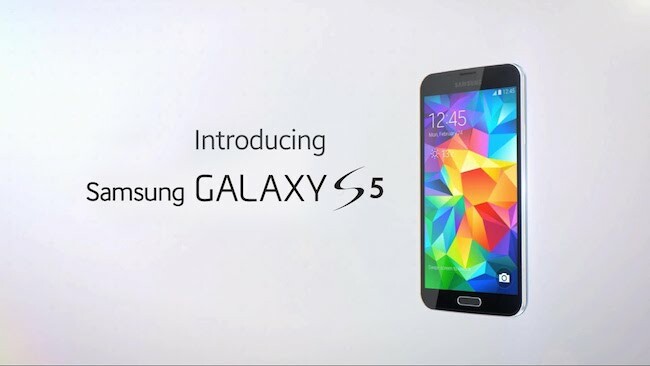 The Galaxy S5 is one of this year’s most anticipated phones, if not the most anticipated phone. The Samsung Galaxy S line has long been viewed as the first, and only, true challenger to the iPhone. Last year’s line-up of phones has shown that this is certainly no longer the case. In all segments of the market, other OEMs are taking the fight to Samsung. 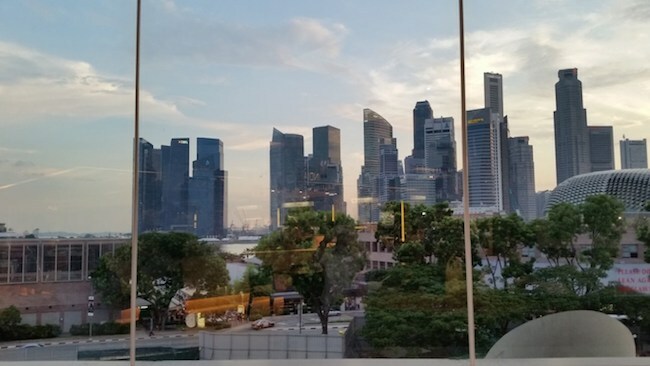 In the low-cost segment, we have Xiaomi which has swept the world, and Singapore, by storm (the Redmi and Mi3 sold out within minutes). 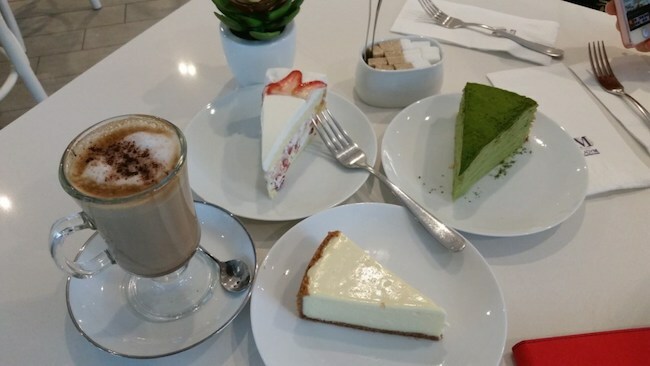 In the flagship market, Sony’s Xperia Z1, and now the Z2 and HTC’s One (M8) have launched a very credible assault on Samsung’s slice of the Android pie. Its camera, build quality, and speed, are as yet unsurpassed. LG brought to us massive innovations, pioneering the first widely available curved screen phone, and other game-changing innovations like KnockCode. 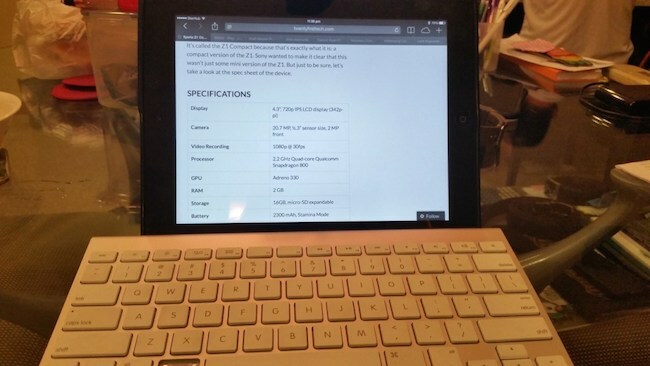 Let’s see the specifications first. In the race to be king of the pack then, a flagship phone today needs not only to do the basics well, it needs to truly innovate. All of the top phones you buy from a shop are fantastically great phones, with great performance and features. And there is little to stand between them. The following review is written in this context, a critical evaluative attempt to determine if the Samsung Galaxy S5 is truly the next big thing. 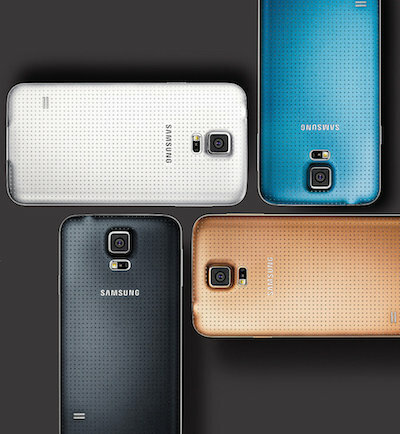 If not immediately evident to you from the many publicity pictures that Samsung has plastered (heh) all over the island, the new Samsung Galaxy S5, shouldn’t offer a beige variant. We were admittedly no big fans of the new design path that Samsung has chosen, and are unsure how the texture chosen for the back cover creates a modern, glamorous look. What it does do, however, is create a nice textured back that is grippier than anything seen before the Galaxy Note 3. For a plastic phone then, what the new design choice does is make it unapologetically plastic. And at this point in the war against plastic, I posit that that is a great thing. Why? Because while all other phones all converge into this monolithic block carved out of solid aluminium, Samsung is remaining true to what it believes. Heck, the phone might have a braille-like surface that reads “OLD-FASHIONED”, but its simple, good to the touch, and strangely unique. An odd simplicity from the much complicated company Samsung is. 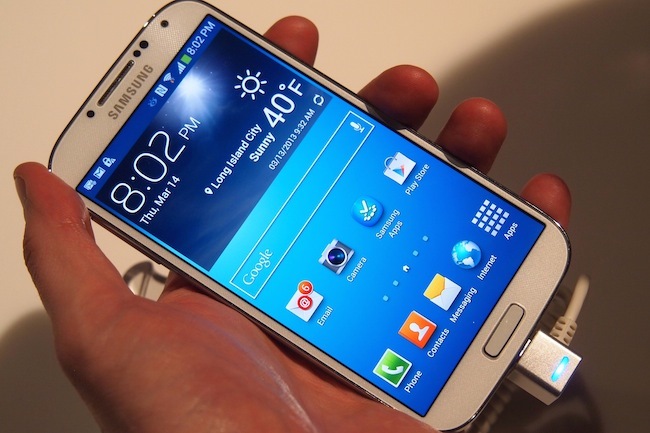 Samsung phones also tend to appear notoriously cheap (keyword:appear) . In some of their lower end models, the back-lit hardware keys literally stick out like bulbs on a christmas tree. No such problems here. Samsung has pulled out all the stops to fashion much sleeker LED lights for the capacitative touch key, a more comfortable rectangular frame, and a banded stainless steel bezel on the side to complete the modern, glam look. 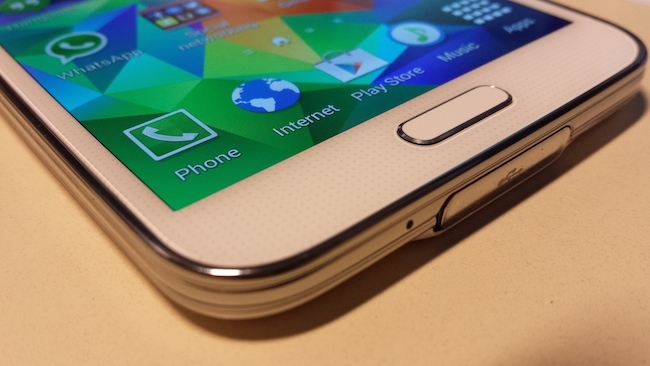 In essence, the same premium feel you expect from the Samsung flagships since the Galaxy S4. 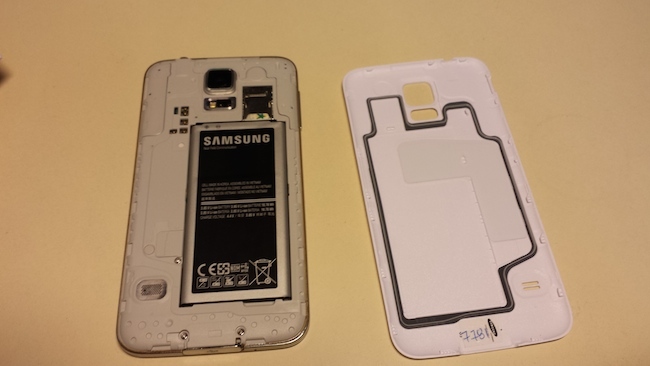 Then there’s the matter of the infamous removable plastic backing, keeping Samsung as one of the only major OEMs still to have a removable battery. In all previous Samsung phones, this backing is so thin it warps significantly upon removal. No such problems here too. The backing is rigid, thick, and sturdy. It should be too. Being IP67 certified, the Galaxy S5 is supposed to withstand up to 1 m of water for 30 minutes, as well as be completely dust-proof. The flimsy rubber lining on the inside of the backing left me with my doubts on how waterproof the internal circuitry really was, as did the flimsy flap which covers the micro USB 3.0 port. However, after rigorous water testing, the device held up very well, taking no water damage whatsoever. A further inspection of the back panel of the phone revealed that water had indeed seeped through the plastic backing, but had been stopped by that much-maligned thin strip of rubber. So overall, this department actually looks pretty good. 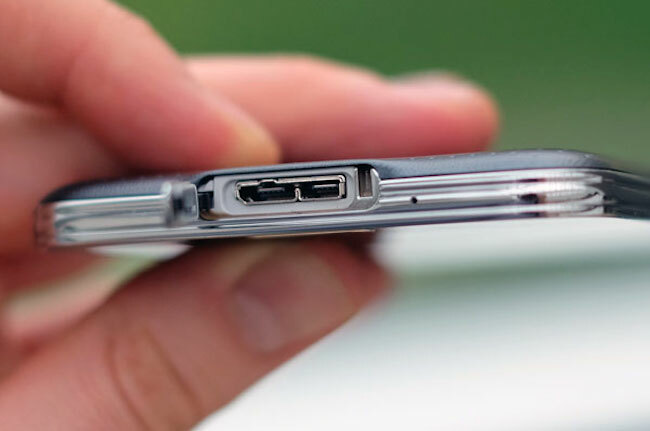 We only wish that a micro USB 3.0 cable comes out of the box as with the Galaxy Note 3. I am puzzled by the decision to supply a USB 2.0 cable, as one would think Samsung would at the very least extend its focus on luxury to the basic accessories. Upon extended use of the phone, we realized some practical flaws in the design approach. While the square protrusion of the camera lens unit fits in with the overall design, its so patently protruding that a slight knock at the wrong angle spells disaster for your camera, it cracks. As does your waterproofing. 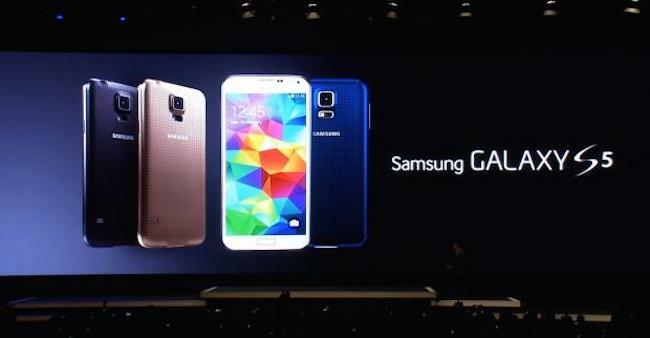 The Galaxy S5 then, is very solidly built, with but a few kinks to iron out. 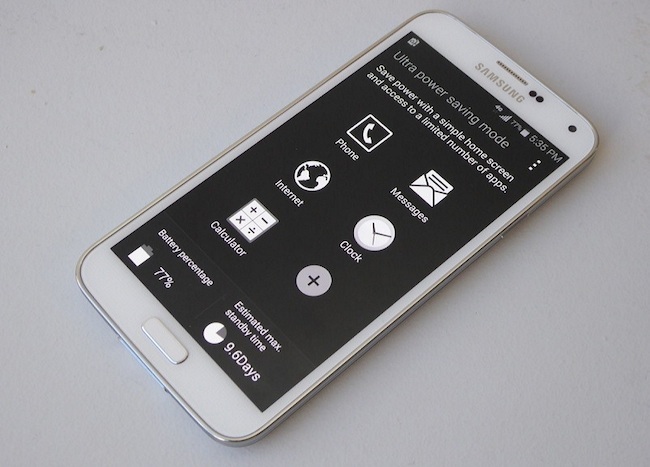 The display on the Galaxy S5 is nothing short of brilliant. Most of my colleagues here will disagree with me, but I love the brilliant, vivid, and yes over-saturated colours of the AMOLED screen, and is one of the major reasons why I purchased a Galaxy S4. Yes, I know the colours are artificially reproduced, and that AMOLED screens tend to be a hit on battery. But there is simply no other technology now that can replicate the vibrancy, or the deepness of the blacks, in giving a vivid crisp image. So what if it is just a grand illusion, life is a grand illusion anyway. 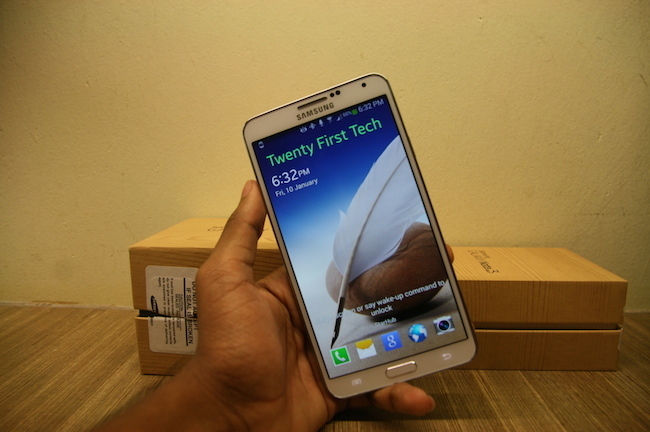 Perhaps though, a 2K IPS LCD screen would just about buy me out of the Samsung camp. Looking at the numbers, the S5 performs superbly, achieving the deepest blacks and infinite contrast thanks to the AMOLED display. The S5 is also sufficiently bright enough, and sunlight legibility is still great. Comparing like for like, with all the other Super AMOLED screens Samsung has put on its phones, the one on the Galaxy S5 is vastly superior. It is of the right size to take advantage of the many dual window features Samsung offers, delivering a superior split screen experience. And while a .1? upgrade from the S4 seems insignificant, it allows for a great deal more of viewer comfort, and is my opinion the perfect phone screen size around. 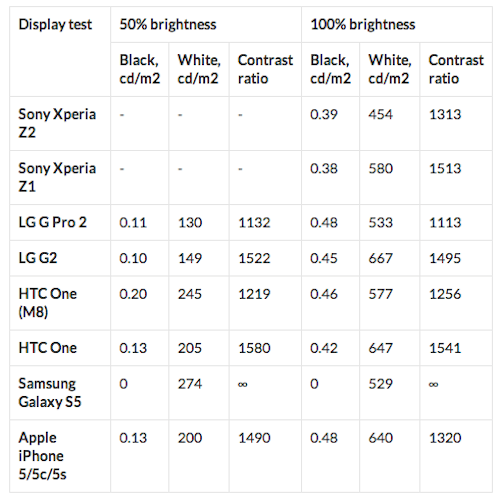 Some smart improved Adapt Screen settings also control the saturation and contrast levels of the AMOLED screen more appropriately to the visual situation, to produced a very natural, colourful experience that is of now unrivalled by any AMOLED screen out there. The biggest change that strikes you when you switch on the Galaxy S5 is the completely redesigned icons that give off a much flatter look. Johnny Ives would be proud. The icons still remain rather skeumorphic, though significantly less gaudy. The colour palette is far more palatable, and everyday usage of the phone just seems a lot more bright and welcome than TouchWiz has ever been. Folders are nicely designed (though I suspect that has more to do with Android 4.4.2), the notification bar is cleaner, and the native browser a lot more minimalist. The list of largely positive changes could run on for the whole review but by far the most important, is that the settings menu is actually understandable, and navigable. The TouchWiz Nature UX 3.0 UI that runs the phone then, is a brilliant master-stroke from Samsung in the aesthetic, as well as usability department. And when you look at the screenshots, I’m sure you will agree. In the performance department, there is however much to be desired. 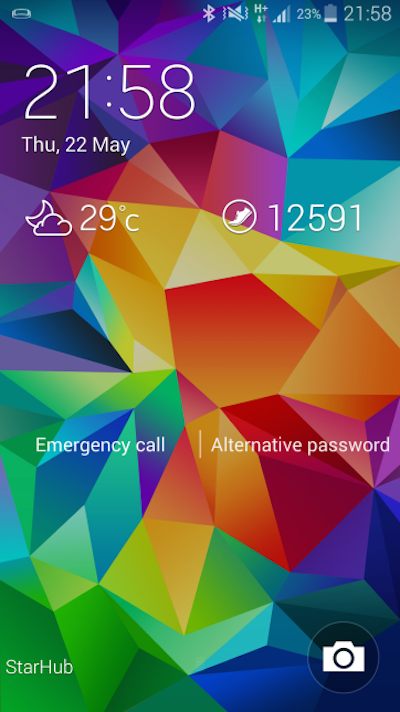 Already in the Galaxy S4, the phone was chockfull with features from Air Gesture to Air View, and all sorts of TouchWiz overlays. Some of these overlays were helpful, some were not. The good news is that Samsung has removed some of the features that were much maligned. I was pleased to find that I could not activate Smart Scroll. The debacle of smart scroll, where browsers scrolled according to your eye movement (randomly or not at all, in reality), needs no introduction, and we are pleased Samsung is learning from the process. We are also pleased that they have removed the handwriting function from S Memo, which really only could be used with the S Pen that the S5 does not come with. Much to the chagrin of the other editors here at Twenty First Tech, I do however relish the fact that Samsung has ported over some of the seeming gimmicks that were on the S4, like Air Gesture and Air View. I had grown used to these features, and they are much better executed on this UI. The new iteration of features on the S5 are far more practical too, largely involving the now much extended S Health 3.0. But more on that later. The bad news however, is that TouchWiz is still so full of bloat that there is only up to 400 MB of free RAM out of the box. This is severely bad news. It is a devastating blow to the performance of the phone. And crushes the sleek, modern, glam feel that the whole phone is trying to achieve. Because effectiveness, efficacy, and efficiency is the essence of modernity, no? Then, there are the host of software issues. On many occasion, the last opened app spontaneously pops up on the screen without warning. For Flappy Bird users, its irritating to say the least, but for someone trying to write a painful break-up letter, one misplaced tap could be an issue of life and death. Then, the earphone jack sometimes suddenly connects to a phantom headphone. So your listening session back home on the MRT will go out without a sound nor whimper. 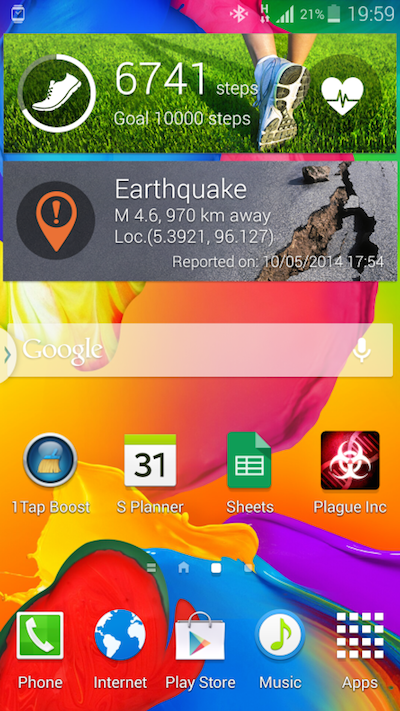 TouchWiz Nature UX 3.0 is better, but still very much a work in progress. The flaws are serious, and need to be fixed. If not by Nature, then by Nurture. On the topic of power, the new benchmark that phones in 2014 need to live up to is to have a battery larger than 3000mAh. The Galaxy S5 only has 2800mAh. But we are very pleasantly surprised by the real-world results. In a heavy day of usage, as well as judicious toggling of the various power saving options, the battery managed to last a full heavy work-day filled with location tracking, and extended on-screen time due to extended communications. At the end of the day, 20% of battery was left. This is a marked improvement from the Galaxy S4, which required about two full recharges to last my typical day. It was a huge relief to not have to carry around a heavy duty portable charger just to have those last few drops of battery to call somebody, and for the typical user, the battery life is more than sufficient. And should you be unfortunate enough to forget to charge your phone on a daily basis, ultra power saving mode allows you to preserve those critical basic functionalities that ensure you do not get stranded in the middle of Ulu Pandan. A worthy point of mention is that you can indeed add any core app you want onto the highly simplified home screen, from WhatsApp to Facebook, and use these in all their greyscale glory. It’s a novel experience at first, but certainly a feature never intended for the long haul. But hey, since AMOLED screens consume huge amounts of power, turning the colour off saves you a whole lot of battery, so the days of Nokia-esque battery life could live on. However, the rest of the flagship phones out there this year though, have a far higher capacity and will indeed last for much longer than this will, without having you suffer a trip back to the 60s era of black-and-white TV. The Galaxy S5, with all its hype about power saving, is thus a simply competent battery performer, and barely so at that. The list of specifications in the Galaxy S5 is nothing short of stunning. Spec for spec, it compares with all the top-end phones out there. 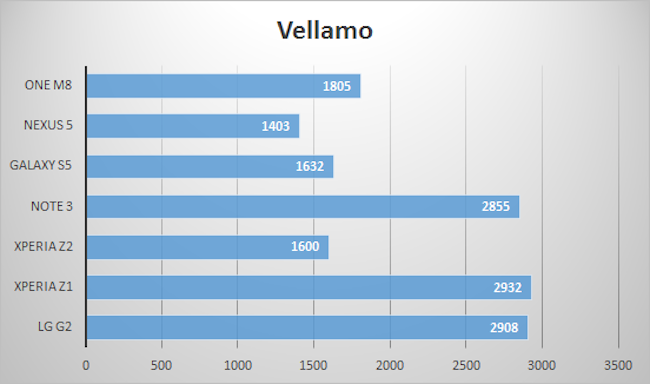 The list of benchmarks shown below show that on balance, the performance of the phone should be about on par with this year’s flagships, and you would expect the equivalent performance standards. In benchmarks, the story follows the script. 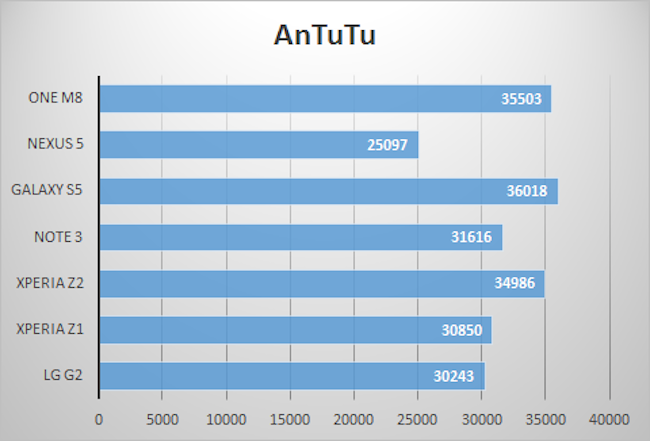 In AnTuTu, a comprehensive benchmark that test everything from CPU to storage speed, the S5 led the pack, edging out the One and Z2. 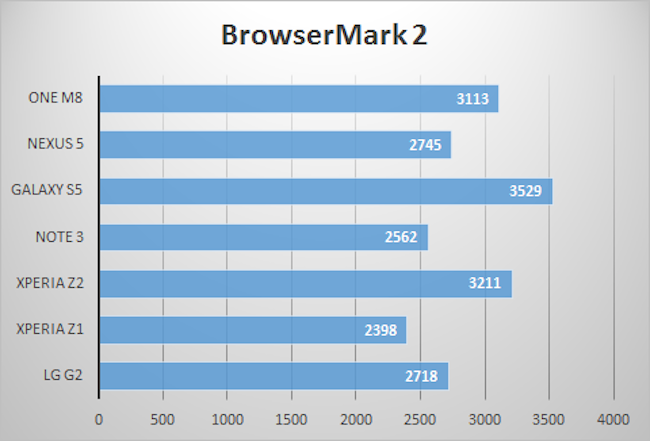 In BrowserMark 2 though, the S5 raced ahead of the pack. In Vellamo, surprisingly, the 2014 flagships fell far behind their Q4 2013 counterparts (save the Nexus 5). 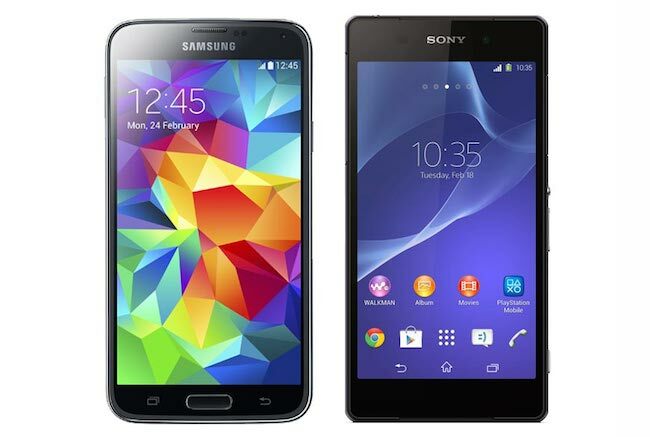 In between themselves though, the S5 again just got ahead of the Z2. But there’s one seemingly minor loose end the phone leaves out on – RAM. 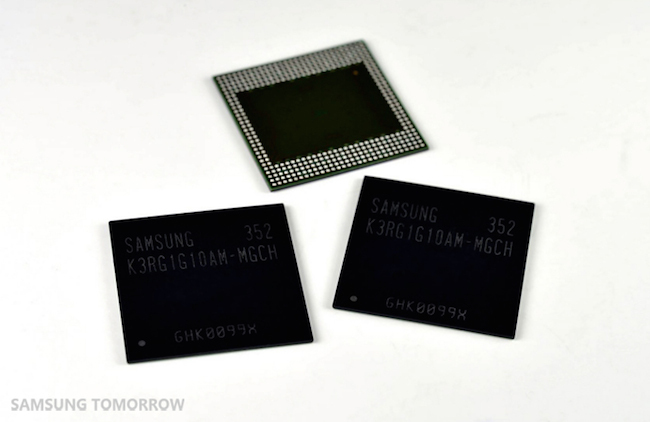 The Galaxy Note 3 paved the way for a smooth-running UI by giving us 3 GB of RAM. The Xperia Z2 followed suit, giving us this gratuitous figure of RAM too. Except for Samsung’s Galaxy S5, such a RAM capacity is not gratuitous. It is necessary. So, why then would Samsung make the decision to give us only a usable 1.8 GB of RAM, where the UI occupies 1.4 GB? Even when the processor is allowed to run at full clock speed, the phone feels like it is struggling to keep up. Scrolling through the pages is smooth, but just barely, and the chock-load of widgets that cram your home screen, take quite a while to initialize. 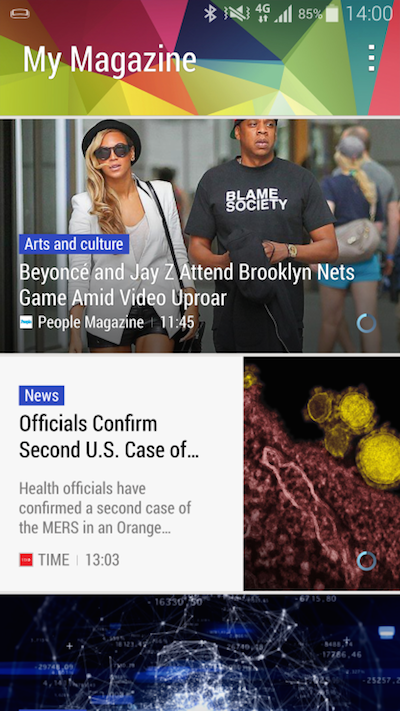 HTC’s BlinkFeed loads in a blink, as it name suggests, but Samsung’s Magazine run by Flipboard, loads only after you’ve done a few flips. When you add even the slightest hint of power saving, the phone is literally unbearable. And I am saying this not as a reviewer with high standards. The Galaxy S4 was no Speedy Gonzales. But there was no screen tearing as you transition between the home pages, no heavy juddering as you scroll through Facebook, and no text that appears only a second after you hit the icon. For a 2014 Flagship phone, or in fact any phone in this price range, it is simply unacceptable. And the sad thing is none of this has to do with the phone per se, but the heavy load that it has to work under. I only hope that a software update would help lift this burden off its very sturdy shoulders. 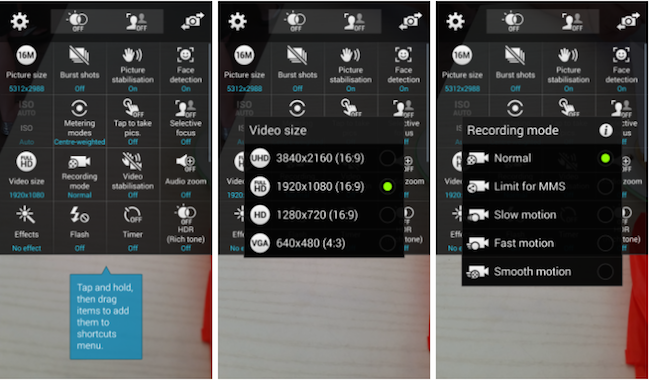 The camera app, however, might be the most useful of all the new add-ons in the S5. First, its new phase detection focusing technology, allows for what Samsung claims to be blistering fast focusing times, 0.3 seconds. The reality is that focusing times are indeed faster, but nowhere near that figure. You are looking more at 1-2 seconds in real world conditions where lighting situations get complex. Face detection, however, seems to work better. Second, Samsung boasts auto HDR, with auto preview. It is indeed the only phone on the market now which offers this feature. Instantaneous HDR is something of a pipe dream for photographers, and for it to appear on a phone is absolutely phenomenal. 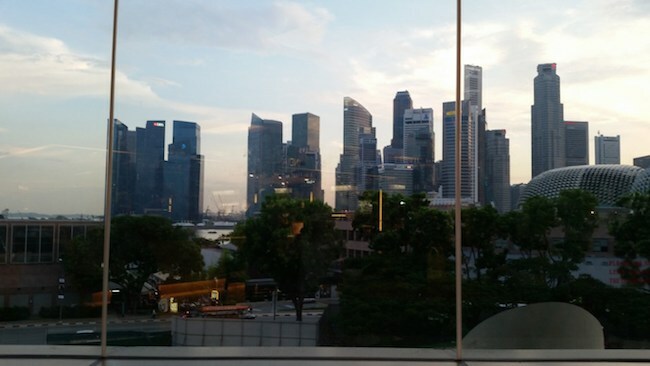 As a result, all regions of any photo the S5 takes looks properly exposed. 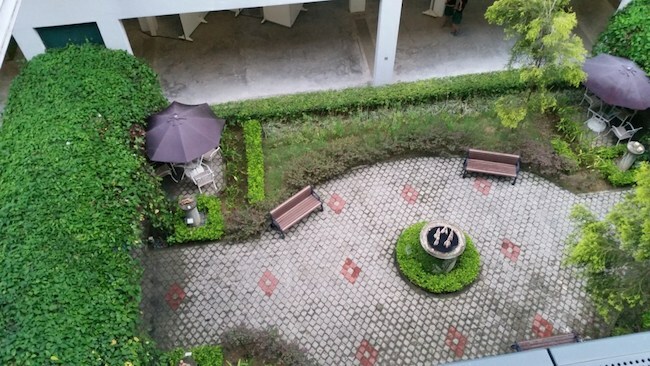 And its done completely fuss-free, just flick the HDR switch, and your photos instantly look great. I cannot see why anyone would turn it off. Its easy, quick, and good. 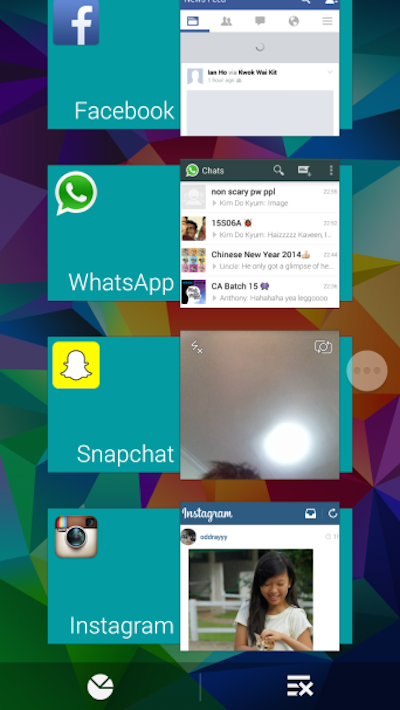 It’s easily the S5?s best feature. Third, Samsung totally overhauled their camera app with a bunch of cool new features, notably selective focus. This allows one to shift the focus of an image after it has been taken, from a near focus shot, to a far focus one. We can only show you the near focus shot because the data within the image can only be accessed from a Galaxy S5, and you cannot change the focus the moment you are on a computer. The feature only works in very selective circumstances though, and does not rank high in usability. 6/10 times the phone will prompt you to reselect a subject in the foreground. One might as well manually click the area to focus on before hitting the shutter, especially since focusing is now so much faster. 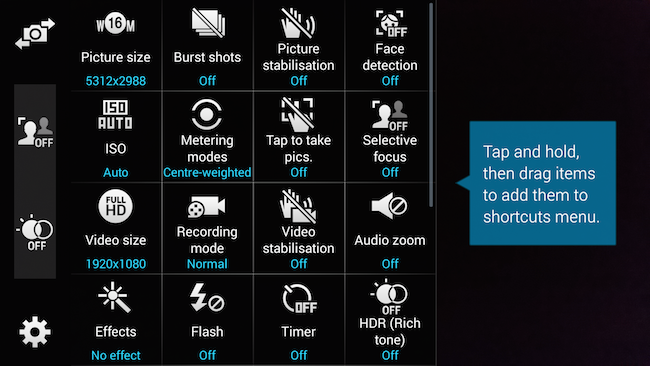 Otherwise, Samsung’s phone comes with the most robust set of camera settings I have ever seen on a smart phone, including options like tap to shoot (anywhere on the screen instead of the camera button), and many others. Same goes for its videos too. Just about any resolution standard in use now is in the phone. Everything from Ultra HD for razor sharpness, to 60 FPS Full HD videos for that ultra smooth effect. Basically, the camera app is comprehensive, and deals with just about anything the world can throw at it, in still or in motion. A major selling point for the Galaxy S5 is its behemoth of a 16MP camera, with a far larger sensor size than any predecessors. The public has become aware that megapixel count is not everything, and sensor size matters a lot too, because image quality is also about how much light falls upon the image sensor. And Samsung has delivered in spades, though just stopping short of matching Sony’s sensor size. All images are pin-sharp, and fantastic. The S5 still lacks an Optical Image Stabiliser though, and images can turn blurry on the off chance, though much improved form the S4, and lacks a physical camera button, increasing shake even further. You can see the samples of the stills, as well as videos taken even underwater, and come to the conclusion yourself that this is indeed a very powerful shooter, that captures the full range of the visual lighting spectrum. In the day colour reproduction is good, and white balance is fine. As is to be expected, the 4K video had more detail. A point to note though is that to video underwater, you have to start the video above water first because you cannot touch anything on the screen underwater, and have to wipe dry the phone before you can use the touchscreen again. A physical camera button would have been nice. Still on my wish list though, is a better selfie cam, I found the colours washed out, and the airbrush effect a little overdone (yes this camera automatically removes your pimples in your selfies). 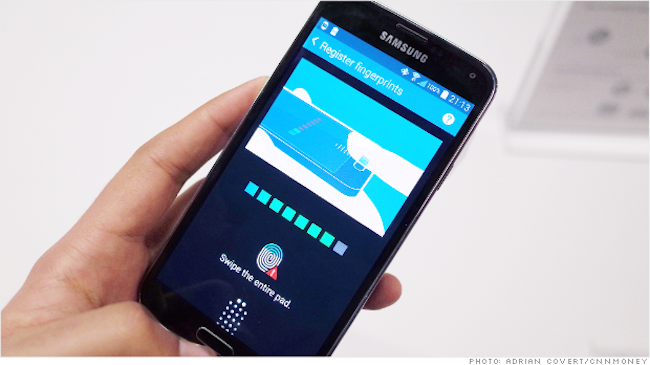 Samsung has jumped on the thumbprint scanner bandwagon with the Galaxy S5, following hot on the heels of the iPhone 5s. In fact, ever since the 5s, every single manufacturer has come up with some form of unique identification method. 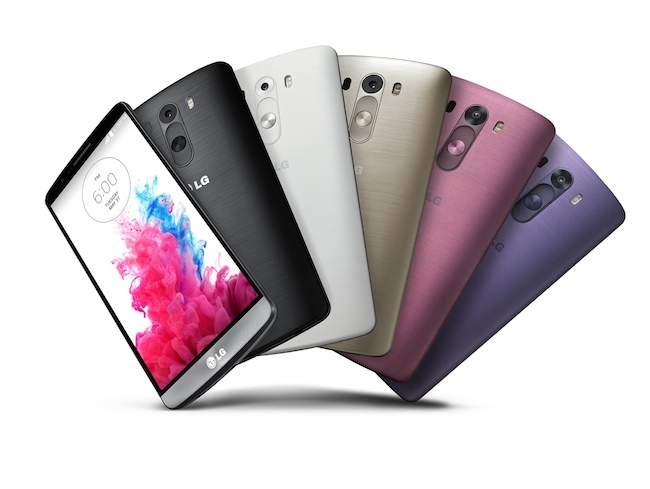 LG for instance has Knock Code, which allows you to unlock your phone with a series of knocks. Thumbprint scanning is a great idea, if implemented properly, and we heaped praises on the one in the iPhone 5s. However, that worked from all orientations. This one in the S5 only works on a very specific angle and pressure. Misalign your finger slightly on the scanner, and the phone will get it wrong. Most of the time, I have just resorted to typing in my PIN though to be fair, the system works flawlessly 50% of the time, another 30% of the time, it unlocks with great difficulty. With the thumbprint scanner being the key to the whole suite of security features like private mode, I cannot say I am impressed by Samsung’s security features. The scanner is sadly, a gimmick at best. Samsung is unique in the Android world where it is following Apple in creating its own ecosystem. 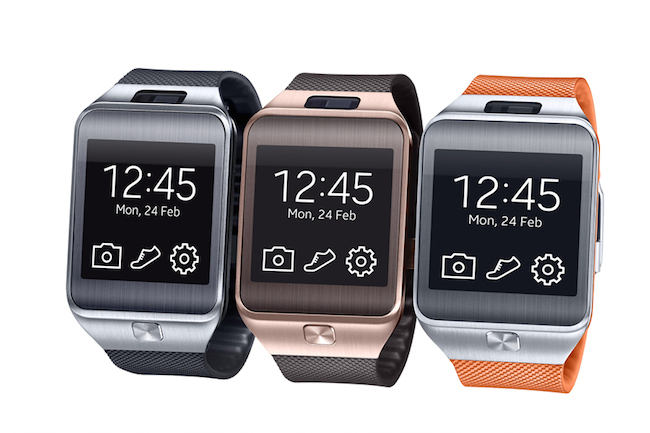 By choosing to run Tizen on its watches, it has locked any Samsung users who own a Samsung smartwatch into the Samsung fraternity. The phone and the watch go together like bread and butter, and indeed one would be useless without the other, at least for this reviewer who has been spoilt by the instant notifications of the Galaxy Gear 1. I have not actually been a big fan of Samsung’s attempt to integrate the fitness market, but the inclusion of the heart rate monitor in the S5 persuaded me to try. What I found was a very inclusive ecosystem that integrated my step count, heart rate, weight changes, calorie intakes, and even sleeping patterns to give me a very comprehensive idea of my well-being. Using the heart rate monitor is decently simple, as long as you figured out how exactly to place your finger on the IR sensor, and detection is fast once you know how to do it right. Many people, including our own editors, would claim this to be a gimmick, but to me it’s 3 huge strides forward for Samsung technologies, because it has essentially cannibalized the Exercise watch, and took fitness to the same level. Receiving prompts on my wrist to speed up or slow down with constant heart-rate monitoring, GPS tracking, along with my sleeping patterns, all in one nice digital fitness logbook is a great thing to have, and was one of the few things I truly missed after returning my review unit. I had fears it would be complicated to use, but really it is user-friendly, and not at all reeking of infamous Samsung fragmentation. Granted, there are flaws. The data on the phone and the watches still run asynchronously, which I fail to get, because I do not want two sets of step count readings. The range of exercise activities is also limited to running, walking, cycling and hiking. No resistance training, or better yet, swimming. However, the heart rate monitor remains the key to the golden palace of fitness nirvana that I firmly believe Samsung owns. 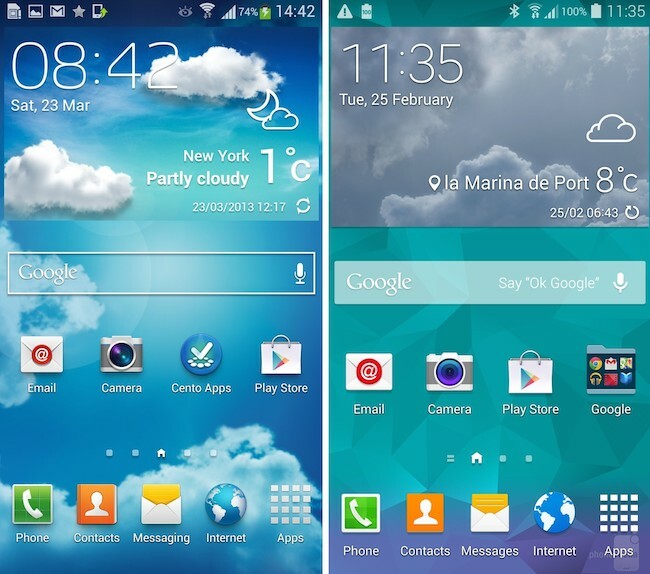 The Galaxy S5 is thus a really mixed bag. As a Samsung product, I am willing to put my foot down to say that it is technically the most advanced thing shipped out of Seoul, jam-packed with the latest high-tech wizardry the tech world can offer. Its camera is brilliant, its UI looks much better than what we have ever seen on the Galaxy S line, and its list of gimmicks like the heart-rate monitor and thumb print scanner are magical when they work together. It’s like a whole new ecosystem from people who truly want to take technology forward, when the folks at Cupertino got too caught up with perfectionism. But at the end of the day, it feels like a lab product. I would take a longer battery, a fast processor with no judder, a slightly inferior camera, and a nicer user interface, over any of these features in the long run. As a phone, a flagship phone of 2014 no less, a basic expectation is that it works. All the time. And I was not convinced that it did this time. 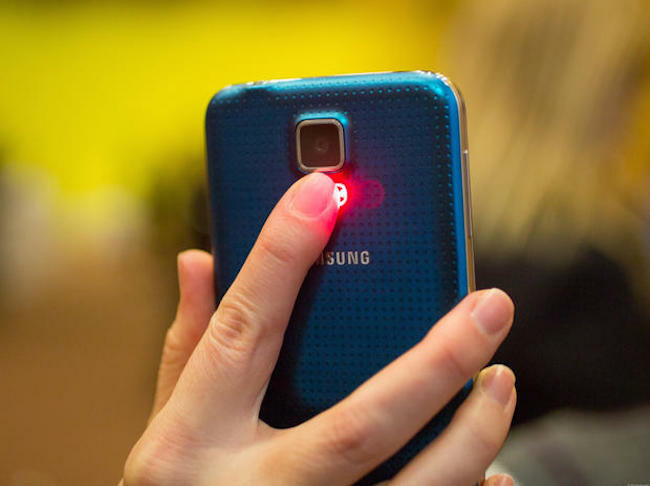 The S5 tried to pluck an Apple, a phone that just works. But that’s different from a phone that does everything. The S4 made no apologies for trying to do the latter. And for that reason, I actually rather have the S4 over the S5. I am so so sorry to the folks at Samsung, for I can see that this time, they really tried. We are close, but not quite. 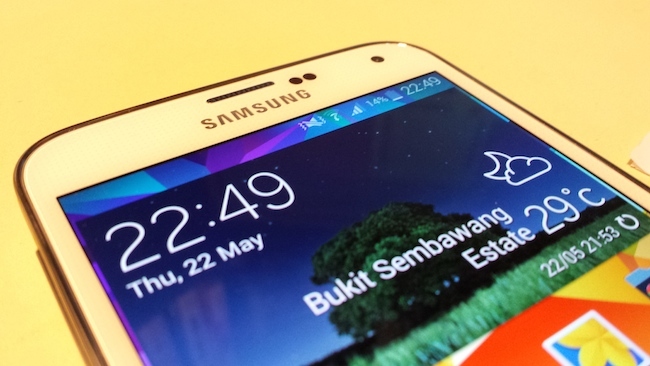 Ditch your S4, the Samsung Galaxy S5 has arrived in Singapore! 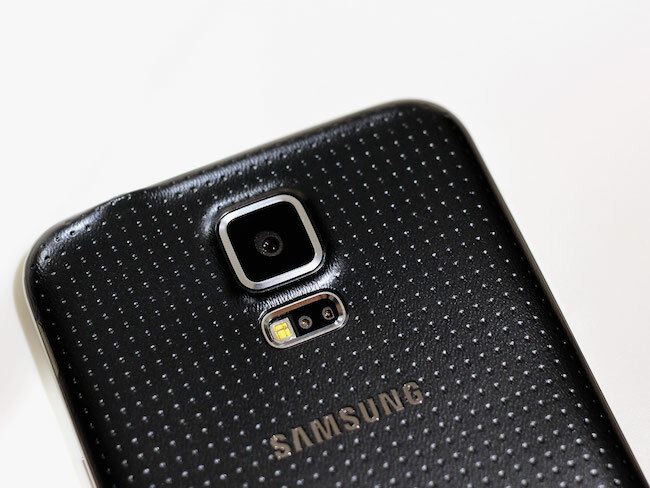 The article Samsung GALAXY S5 Review – Not Quite Back to Basics originally appeared on Twenty First Tech, a content partner for Vulcan Post.